Have you been wanting to share housing but don't know how to get started? Hello, my name is Annamarie Pluhar and I created Sharing Housing to teach people how to create affordable and healthy shared housing. Having a housemate can save you money and help you live a healthier, more connected and comfortable life. Check out my book, blog, webinars and tools. These resources can make the transition to shared housing easier, faster, safer and more enjoyable. Start learning about house sharing with my book, webinar and other tools. I created these resources for people like you! Finding the right housemate can feel like a gamble. 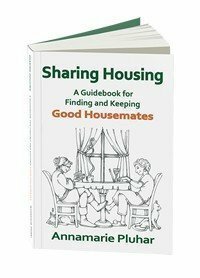 My book, Sharing Housing increases the likelihood that you will find a compatible housemate and create a home that works for you. In Sharing Housing I teach a practical process with insights and tip. Order Sharing Housing your guide to a new way of living! What are the questions you should be asking in an interview? How can you figure out if someone is really going to be compatible with you when you are living together? 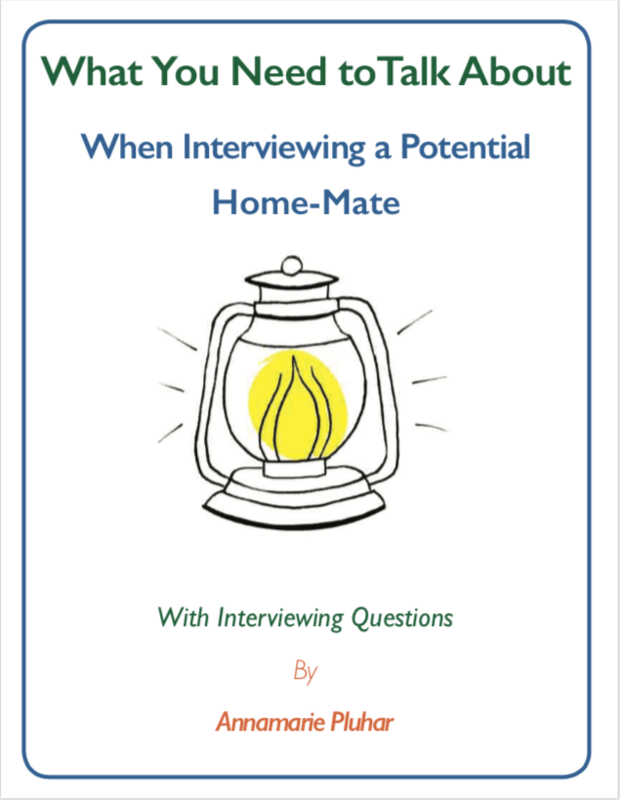 The Compatibility Questions are included in the PDF "What to Talk About." Learn more here. Discovering Shared Housing is our on-line interactive webinar. Next available in May. Our blog is full of how-to's and interviews of people who are sharing housing, how they do it and the benefits they experience.